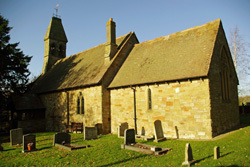 Built in 1140, Billingsley Church has many ancient features, including two ancient yew trees. The church is extremely beautiful and peaceful, and is open every day of the year for tourist visits and quiet reflection. Read more about the Billingsley church community on their website; follow them on Twitter or Facebook.